Here's a great way to help your child recognise colors, while also spending some quality time outdoors. This isn't your traditional nature walk—it includes a creative, scavenger hunt-style twist! He'll take photos of the scenic setting, with the goal of capturing images that correspond to pre-selected paint chip colors. When he's all done, he'll get a chance to show off his artistry by creating a paint chip scrapbook—complete with his original nature photos. Take your child to the paint department of a local hardware store, and let him pick out ten different paint chip cards. Steer him toward colors he is likely to find in the outdoors near your home. Go to an area where you and your child can go for a walk along a hiking trail. As you are walking through the area, encourage your child to look for items that match the colors on the paint chip cards. 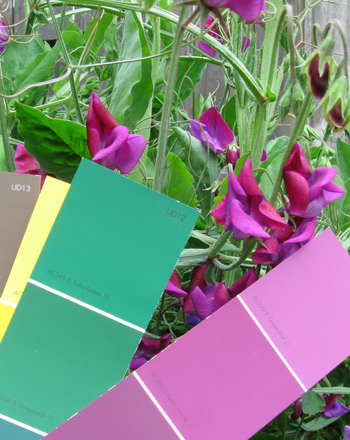 For example, if he has a green paint chip card, he may pick out some leaves he thinks match his green card. Let him take a picture of the item he found that matched his paint chip card. Help your child try to find something in nature to match each of the ten colour sample cards your child picked out. If you can’t find all ten, let your child know he still did a great job. Print or develop the pictures your child took while out walking. Give your child the pictures he took and the paint chip cards. Explain to him how to make a scrapbook by gluing each paint chip card down on a page with the corresponding picture. 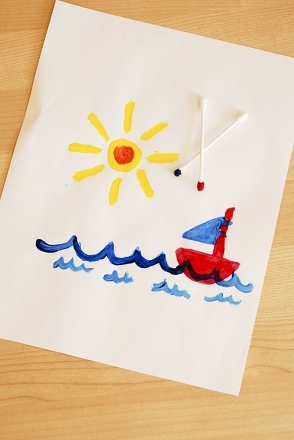 If your child is writing, have him write the colour at the top of the page in a marker of the same colour. 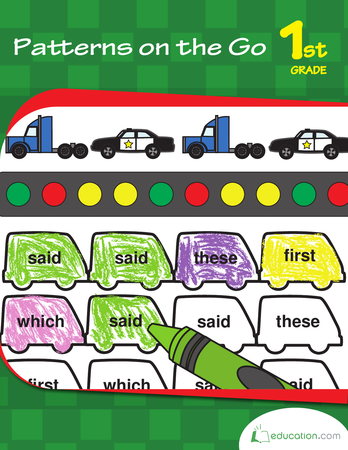 If your child is not writing yet, you can write the colour at the top of the page. If this is a project your child enjoys, you can go on future paint chip picture walks and keep adding pages to their scrapbook. 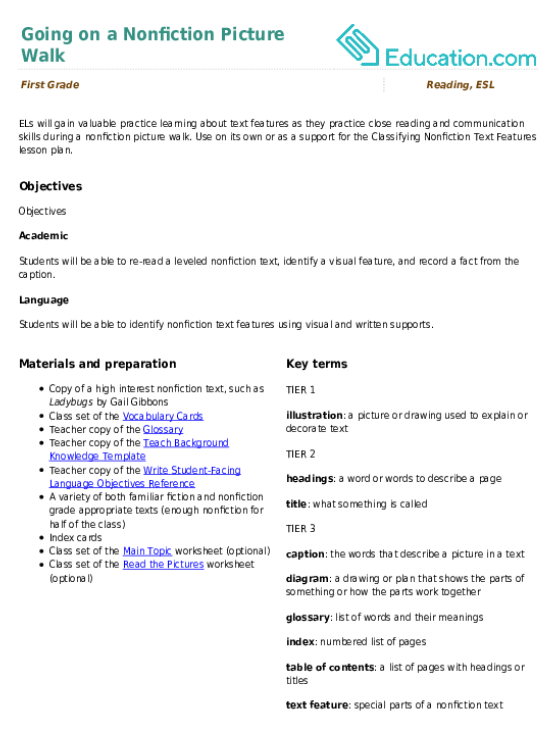 Use this glossary with the EL Support Lesson Plan: Going on a Nonfiction Picture Walk. Use these vocabulary cards with the EL Support Lesson Plan: Going on a Nonfiction Picture Walk. ELs will gain valuable practise learning about text features as they practise close reading and communication skills during a nonfiction picture walk. Picture Graphs: What's Your Favorite Ice Cream? Vanilla, chocolate, strawberry, or chocolate chip? Sweeten up graph practise with this simple picture graph! Provide your child with Q-tip paint brushes that are bunched together and easy to grip, and encourage him to go to work on his painting masterpiece! Picture comprehension is a great intro to reading comprehension! Kids will simply identify what is going on in each picture. 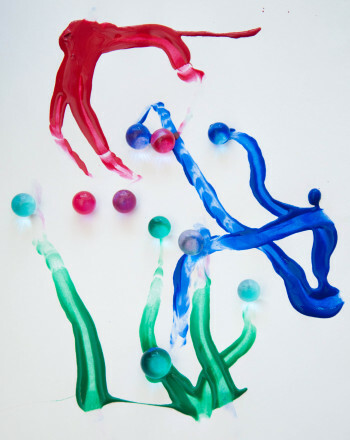 The project presents a tactile way to paint using water beads! The result will be a beautiful, expressionistic work of art. 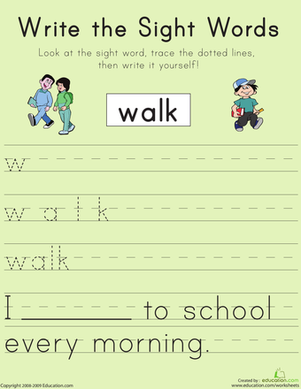 Write the Sight Words: "Walk"
Help your child learn the sight word "walk" with this printable phonics worksheet. Play a fun, Halloween-themed variation of the classic Go Fish card game. Read each problem, and make a picture graph for each one. Students will quickly master their new words with this handy chart that has them logging the word, a picture, a definition, and a sentence that puts the word into context. See this activity in a set: Celebrate Mother Nature!